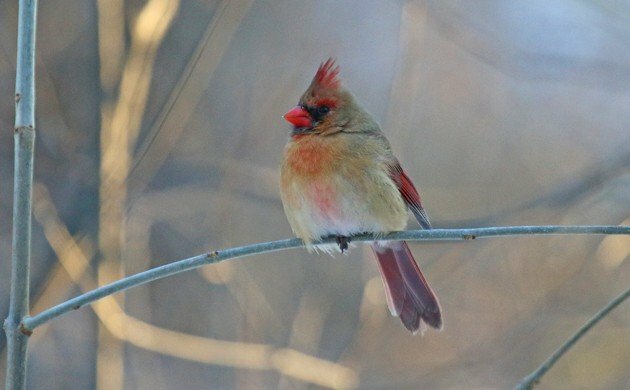 It’s January, it’s very cold, and I don’t have much time to bird. Where do I go? Forest Park! Though the diversity of species in the deep freeze of winter is low it is always a pleasure to visit the feeder array at the waterhole which attracts most of the species that are present in the park, even some that are pretty unexpected. 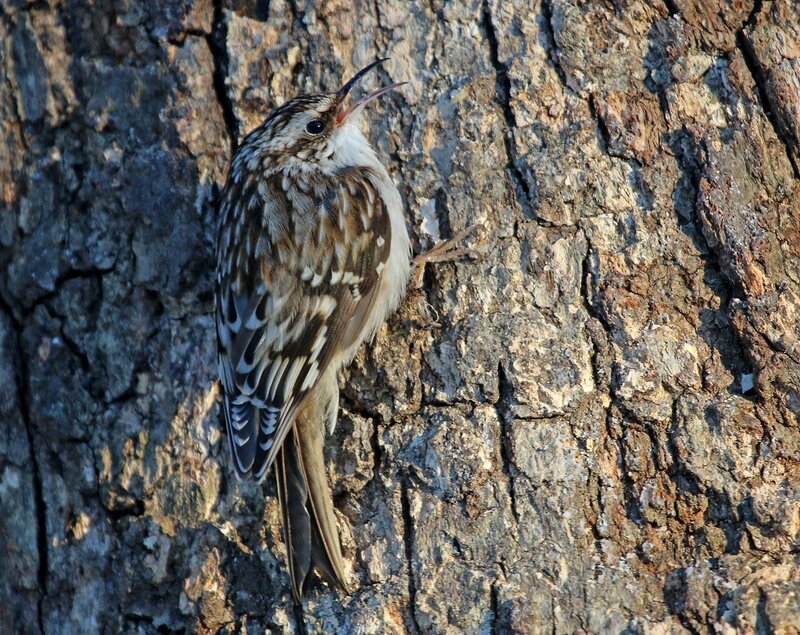 Brown Creepers love visiting when some suet is smeared into the bark. 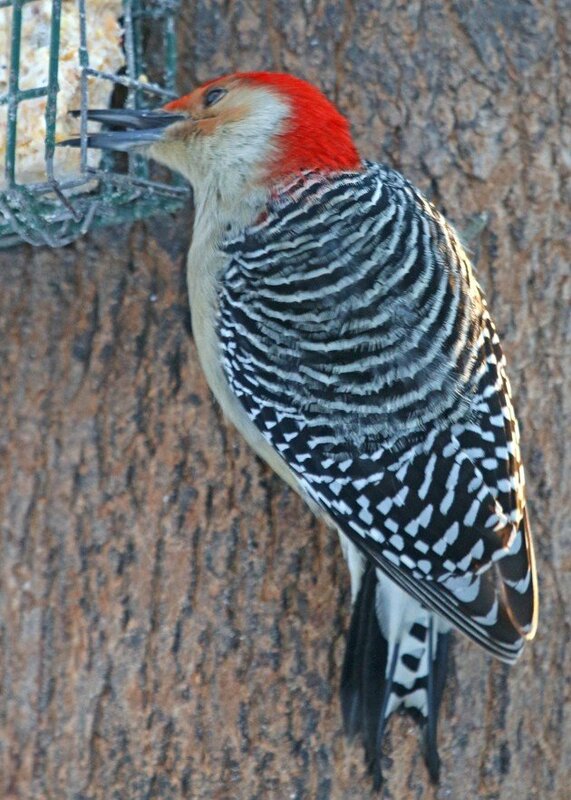 Red-bellied Woodpeckers are more traditional consumers of suet. I’ve never seen American Robins eat suet. 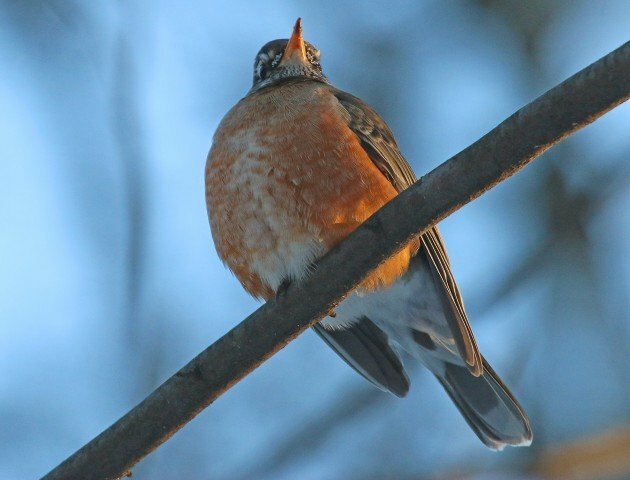 In fact, I haven’t seen robins at feeders of any kind. This one just stopped in to see what all the activity was about and then moved on. I think robins look down on feeder birds. This bird was my real surprise for the morning. 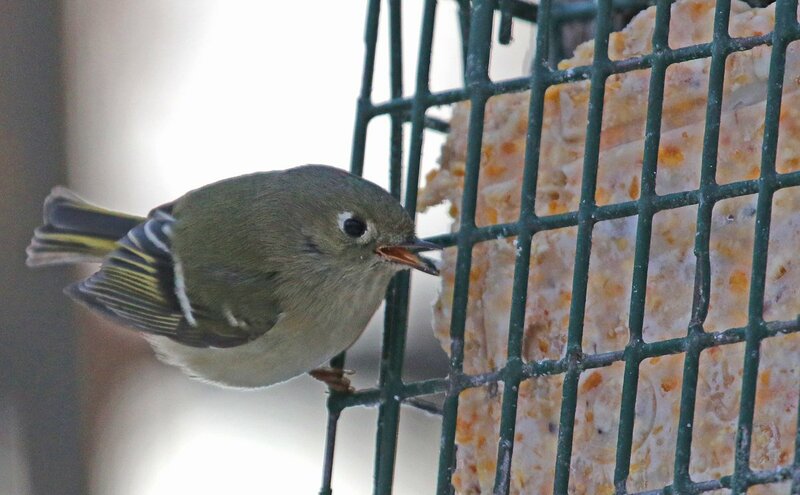 I hadn’t heard of Ruby-crowned Kinglets eating suet but this individual was more than pleased to dig in with gusto whenever the woodpeckers gave it a chance. What else did I see? Well, I had a total of sixteen species, none of them uncommon. But they were close, they were birds, and I got my birding fix. What more can you ask for? I have kinglets of both crowns coming to my suet feeder. They really do like the bark butter and today I had a very close experience with a hungry Ruby-crowned when I was refilling the feeders. I wish I had creepers in the backyard!